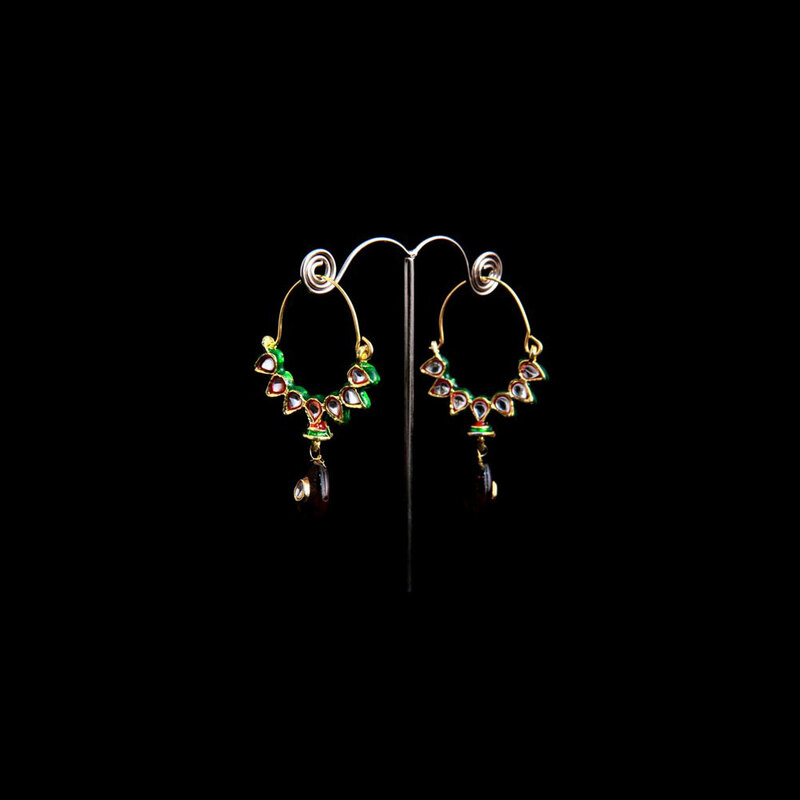 The simple style of those island formed earrings adds to their beauty and elegance, finishing the normal lookis that the dark brown oval hanging. The simple design of these bali shaped earrings adds to their beauty and style. The white stone work is highlighted by the green background and Read More..the red outline that forms the inner border of the gold plated brass metal encasing. Completing the traditional look is the dark brown oval dangling. Show Less..